The best deal for a cordless snow blower. Good throwing distance and can remove just under 500 pounds of snow per minute. A steel auger is a rarity in this class and should last awhile. Snow Joe lets you upgrade batteries too. Just a great mix of value and performance. The most impressive throwing distance of any battery-powered model at around 20 feet (less to the sides). A lightweight unit that has single-hand controls. Great choice for a single car driveway or large wood deck. 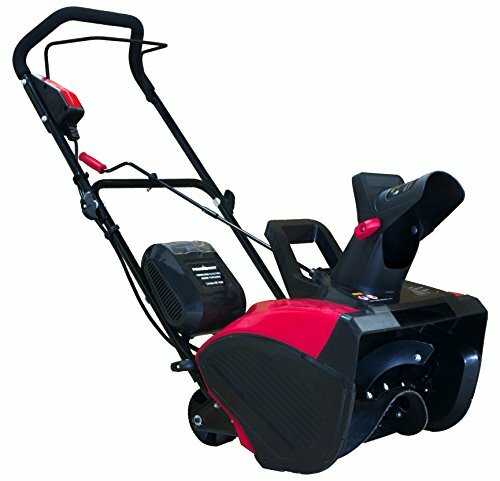 A well built cordless snowblower with 2 LED headlights. Nice ergonomic design makes it easy to handle. Good throwing distance and taller intake than most. Does clog some in wet snow but a real nice budget option. This unit has a longer lasting battery (5.0 Ah) that its competitors and a plowing capacity of 500 lbs/min. Can handle half a foot of light snow. A tad pricey, but a great choice if you already own other Ryobi cordless tools. An improved design over the years means this unit should hold up better over the years. Love how this handles in tight spaces. Only issue is price which is a tad pricey if you don't already own a Greenworks battery. What is the Best Cordless Snowblower? Cordless snow blowers have made technological leaps over the past decade. With lithium batteries, they can now produce sufficient power for a longer duration. There are a number of reasons why someone would choose a battery-powered snow blower over traditional options. Gas snow blowers require regular maintenance and are not eco-friendly. Electric snow blowers force you to deal with a long extension cord. A cordless gives you the best of both worlds. It’s environmentally friendly, maintenance free, and can be easily operated due to their lightweight nature. Just understand that they all have limitations. Below is a list of what I feel are the best models on the market. This is the opinion of one man and you should thoroughly research your options before purchase. This list will be updated when new models or information comes out. Snow Joe topped our list of best electric snow blowers with the SJ623E. And the iON18SB comes in at the top as well. It’s a sweet mix of price, features, and performance. The 18-inch machine uses a steel auger with 2 rubber blades to clean down to the surface. It can move close to 500 pounds of snow per minute and has throwing distance of around 15 feet. Should be able to handle 6-8 inches of light snow in a pass. For a cordless model, the Snow Joe iON18SB is packed with features. Mechanical chute control can be controlled without stopping and is unique in this class. You’ll get a 3W LED headlight which is not that powerful. The motor is incredibly quiet and will work great on paved surfaces, decks, and patios. Powering the Snow Joe iON18SB is a 40V 4.0Ah rechargeable lithium-ion battery. It has enough juice for 25-30 minutes of light use. Heavier snow can knock that down to 15-20 minutes. The only thing we did not like about this model was the motor operated chute control. It could use a beefier motor, or a manual crank. The PowerSmart DB2401 has a clearance width of 18 inches and performs as well as anyone on the market. It tore through 5 inches of light snow and am certain it could handle a few more. The machine struggles some with wet snow over 3 inches. That type of snow drastically cuts into battery time too. Despite that, it had the most impressive throwing distance of any cordless I’ve used. You may get away with using this on a 2-car driveway. For a lightweight machine, it’s easy to handle. My only issue is the tires don’t grip well on ice. The chute crank works smoothly and doesn’t stiffen up in extreme cold. There is some sticking to the discharge chute in wet conditions, but some non-stick spray should cure that. This is a solid no-frills machine at a great price. The PowerSmart motor uses a 40V 4.0 Ah rechargeable battery. You should get 25 good minutes per charge. I felt the battery worked better than the Snow Joe besides having the same specs. This is a high quality machine that comes equipped with one of the best batteries in its class (40V 5.0Ah). The brushless motor gives it power to handle 6-8 inches of light snow . It can clear a couple inches of wet snow if you’re willing to go slow. In the best conditions, it can move up to 500 feet of snow per minutewith some impressive throwing distance. The engine is quiet and doesn’t burn up when pushed hard. Despite it being mostly plastic, the Ryobi 20-inch cordless snow blower feels well-built. Certainly better than some of its competitors. It’s lightweight and compact enough to fit in the back of an SUV. The chute is easy to control but tends to get clogged up when you rotate it while moving. 8-inch tires are a plus and it has solid traction despite weighing only 35 pounds. One of the best options on the market. If you’ve got a Ryobi lawnmower or power tools, purchasing this is a no-brainer. Their batteries are compatible (although I don’t believe the 80V will work with the RY40850). And Ryobi has terrific customer service. I have heard people rave about this cordless unit and finally got around to trying it. This is a powerful unit that can handle 5-6 inches of light powder. Was barely able to handle 3 inches of wet snow going slowly. Power didn’t drop either after 15 minutes. An 18-inch width and 12-inch intake can move up to 500 pounds of snow per minute. The plastic auger is heavy-duty and should hold up if you avoid rocks. The chute is controlled through a crank and can be operated with one hand. There is some clogging issues in wet snow, so I’d advise coating the chute with a good non-stick spray. The two LED headlights illuminate well and the 6-inch tires have decent traction. The Earthwise SN74018 is powered by a 40V 4Ah lithium battery. You get around 20-25 minutes per charge, although it does recharge quickly. Earthwise sells other yard tools that the battery can be used in. The Greenworks name has become synonymous with battery-powered tools and their snowblower is a nice addition to that line. Featuring a 20-inch clearing width and 12-inch intake, it works best in the 5-7 inch range. Adequately clears to the surface and throws light snow almost 20 feet (7 feet for wet snow). While mostly comprised of plastic, Greenworks has added some metal to their design in areas that were wearing out quickly. It is lightweight and easy to maneuver in tight spaces. The handlebar height is short and requires hunching over for anyone over 6 feet. The two LED headlights are the best out of any other battery-powered snow blower. This model is held back by price. It’s around $100 more despite having a similar 40V 4.0 Ah lithium-ion battery. Greenworks offers a cheaper model that comes with a 2.0 Ah battery. That’s only an option if you’re clearing a small space like a deck. Greenworks batteries will work in their power tool line. So if you already have their batteries, purchasing this model without the battery is almost $200 cheaper. That suddenly makes this a great deal. If you like the brand and want to save money, the Greenworks 2600502 is an electric snowblower that requires a cord for just over $100. Are Cordless Snow Blowers Any Good? It depends what you’re using them for. These machines are primarily built to handle light, fluffy snow. They are limited to about 6 inches or less depending on the model you choose. They work great for people with decks, sidewalks, or single-car driveways. Perfect for people in areas like Missouri, Kansas, Kentucky, Maryland, and any other region that gets 25 inches or less of snow a year. If you live in a region that gets heavy wet snow, a cordless will not have enough power to handle it. You’re better off investing in a gasoline powered machine. 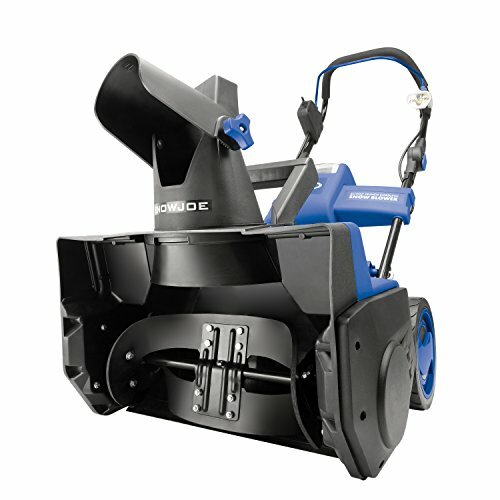 See our list of the top 5 single-stage snowblowers to get an idea where to start. 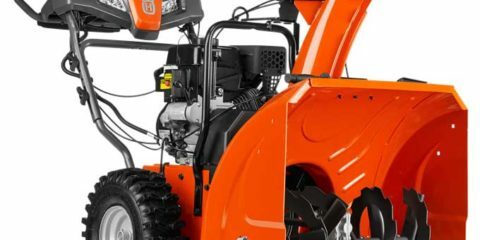 And if you’re dealing with a lot of snow, see our two-stage snowblowers recommendations. Those units can handle the snow just about anywhere in the continental United States.